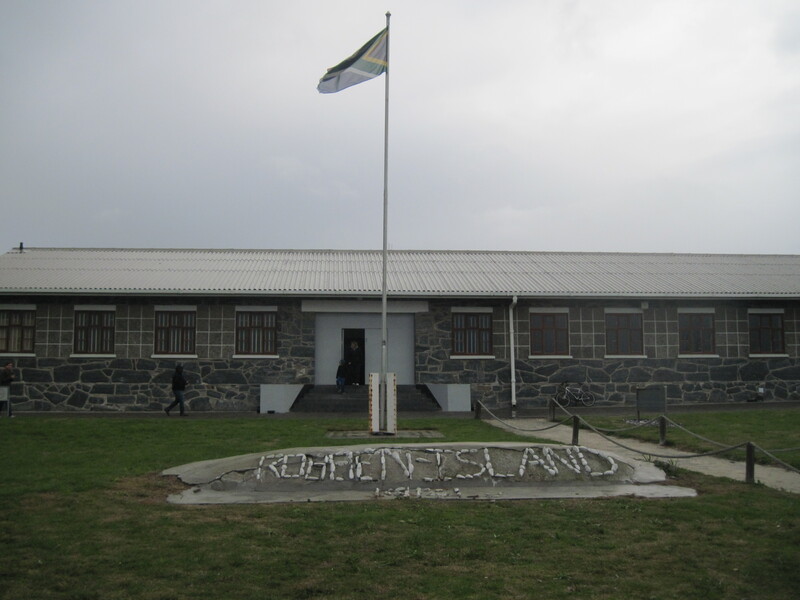 One thing we knew we wanted to do with our time in Cape Town was to visit Robben Island. It is an island off the coast of the city which served as a prison during the Apartheid era, and was where Nelson Mandela was held for the majority of his time behind bars. If you would like to visit the island, you need to book your trip in advance as it is a very popular tourist attraction. We were lucky in this regard as we were able to only book one day in advance. We heard this was rare. The reason for our luck in booking was due to our unlucky weather. We knew the day would be rainy and cold, and it was possible that tours can be cancelled if the weather is too bad. The day was, indeed, miserable weather-wise. But we were fortunate that our tour was not cancelled. You travel to the V & A Waterfront and find the Nelson Mandela museum to start the trip. It was very busy and quite crowded as they herded us into the basement, through a metal detector, and then back outside for a walk to the other side of the water where we boarded one of two boats. The ride out to the island was approximately 35 min. Because of our poor weather, the sea swells were quite high. 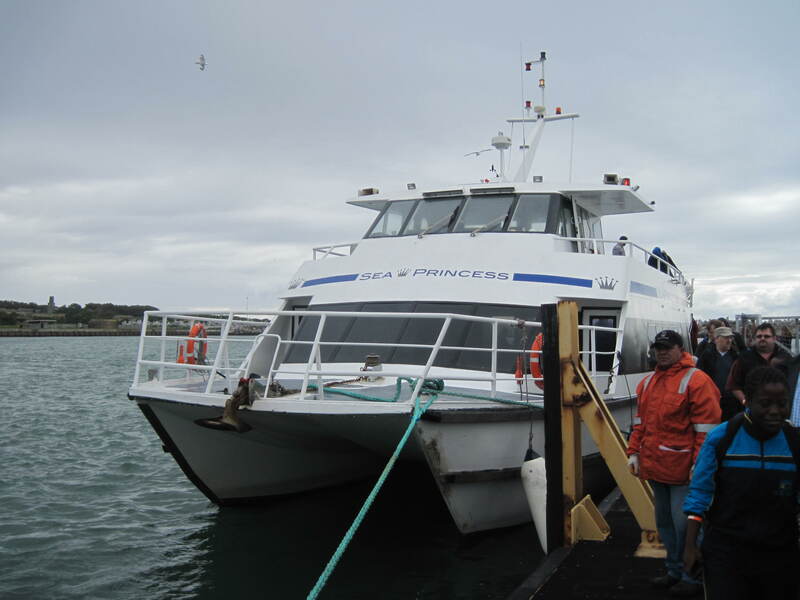 It was a bit unfortunate as there were a few people who ended up getting sea sick – not us thankfully! Once you arrive on the island, you enter a bus and are given an approximately 45 min driving tour. It was interesting to learn about the history of the island which served as a prison for both the Dutch and the English in the very early years. They would just drop off the prisoners there and leave them. It also served as a leper colony and animal quarantine. It also played a role in the defence of Cape Town during WWII and had a large military presence during that time. It also, famously, served as a holding place for mainly political prisoners during the Apartheid era here in SA. We were fascinated that there is still a fairly thriving settlement on Robben Island today. Many people live there full time. These people are mainly employees of the Robben Island Museum. It was interesting to hear that both ex-prisoners and ex-guards still work there today… and end up living as neighbors. After the driving tour, you reach probably the most interesting part of the day. You get off the bus and enter the prison building itself. 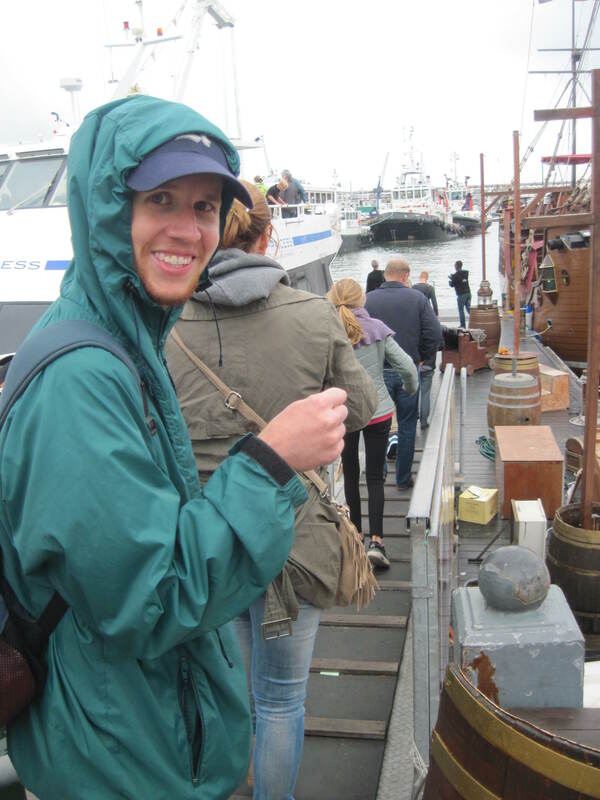 You are also met by another tour guide – this one will be a former political prisoner of the island. Our guide had been working for the military wing of the ANC (African National Congress) during the early eighties, trying to help smuggle weapons into South Africa from Botswana. He was captured by police, tortured, and thrown in prison in 1983. He served his 7 year sentence and was released in 1990, shortly before the prison was closed. It was very interesting to hear his story and his memories of his time in prison. Near the end of the tour, we were taken to the cell where Nelson Mandela spent 18 years. This is all inmates had to sleep on. It was hard to imagine trying to sleep on a miserable day like the day we visited. 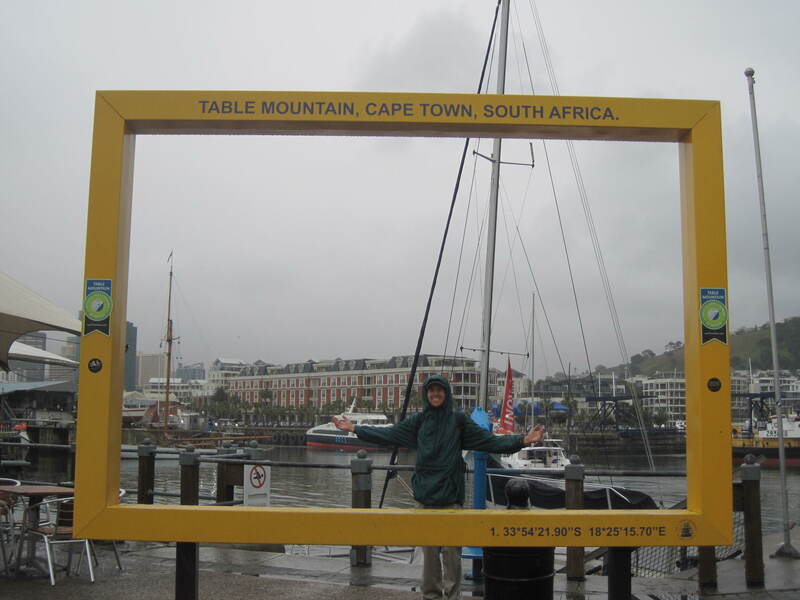 Overall, despite the horrible weather, which prevented us from seeing what would have been excellent views of Cape Town and Table Mountain, we really enjoyed the day. We found it a pretty moving experience. This picture is not actually from Robben Island. It is from the waterfront when we returned from the island to Cape Town, but it definitely gives you a feel for the weather of the day.